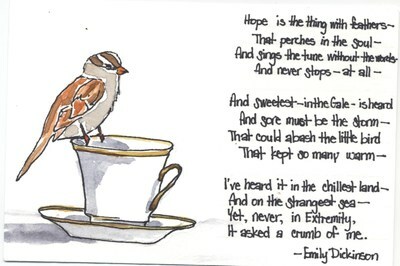 In her famous poem, Emily Dickinson paints hope as a positive, necessary life force. But I've found hope can also be dangerous. For me, hope can easily grow into wishful, even magical thinking. 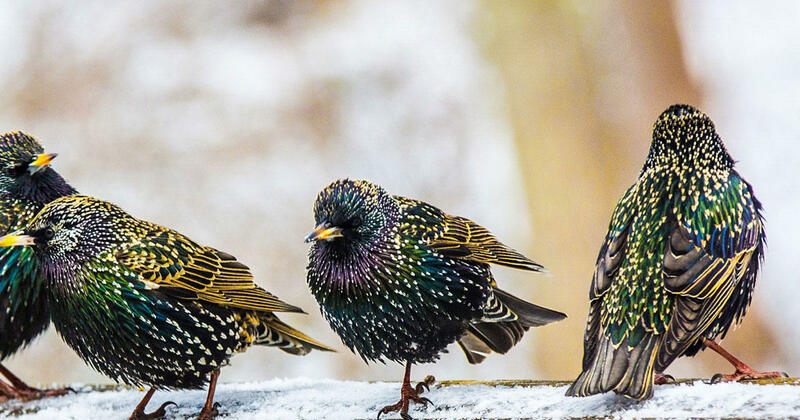 Supposedly, a Shakespeare fan imported starlings. We married young and poor and made money mistakes that made things worse. My contribution to those mistakes was mostly hoping that a check would come in the mail, maybe even a winning sweepstakes check. I entered all the sweepstakes, surely a small win was inevitable. We don't have enough money to buy this right now, but surely a check is on the way. To save our budget and our marriage, I had to pull that sort of hope out by the roots. 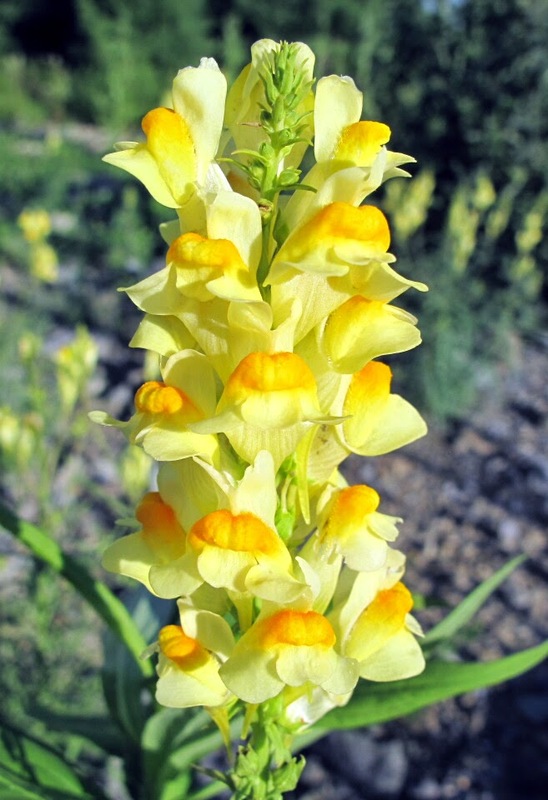 I now consider it a nuisance, something unwanted and out of place, like starlings, raccoons or kudzu. Butter-and-eggs, pretty wildflower supposedly out of place. Magical-thinking hope troubles everyone living with health problems or caring for someone with such problems. Everyone hopes for a miracle cure. Each new biologic I try might be the one that doesn't only allow me to function a couple hours a day with a lot of pain meds, but really turns my life around, a miracle. But miracles are miraculous precisely because they almost never happen. I'm on this topic because something unusual happened at my latest rheumatologist visit. As usual, I gave a run-down of my aches and pains. The definition of both rheumatoid arthritis and fibromyalgia is that everything hurts and always will, so I wasn't expecting anything new. But after I described the shooting pain I'm having in both shoulders and arms, my doctor said that wasn't caused directly by either of my issues. Knowing we are facing employment/insurance changes, he booked me for the soonest possible MRI appointment. My sweetheart said "no" to the goat. 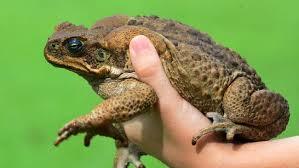 Maybe a cane toad? Apparently I'm not horribly claustrophobic because the MRI wasn't bad. Lying still with my head and legs slightly elevated is one of my favorite hobbies. The room was pleasantly cool in contrast to the cozy heated blanket that covered my feet. It was noisy, and not the whirring sorts of noise I expected, but a lot of irregular pounding, like someone was using a sledge hammer to test the acoustic properties of different parts of the machine. But I taught middle school for 25 years. Noise is fine if I don't have to control it. 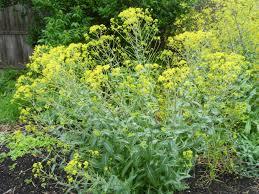 Dyer's woad makes pretty blue dye, but takes over range land. The next step was to wait and try to stomp down sprouts of unrealistic hope. My worst fear is the most likely answer. I have one more painful situation that there isn't a cure for, but hey, aspirin helps some people. My first extreme hope was the MRI would reveal something so weird and obvious that the imaging tech would say something, but he was a total pro. Magical thinking hope was that something could be done to allow me to sleep without having to choose which pulsing shoulder to lie on. Ideally something that won't involve surgery on or near my spine. Possums: okay in Australia, invasive in New Zealand. But continual hope comes with repeated disappointment. I do best with acceptance. Acceptance and a gentler type of hope. I can safely hope to feel a bit better after a nap. I can hope to have a good day after a bad day. I can hope there will always be one more biologic that will slow my disease and prevent the extreme crippling that once happened to people with RA. There isn't time on the current insurance to see a specialist. As pain continues, I'll figure out how to navigate the new insurance. In the meantime, I've ordered a tens machine. My sister recommended some exercises that helped her for tennis elbow and I followed them to exercises that should help with rotator cup issues. I'll try to help myself for a while. 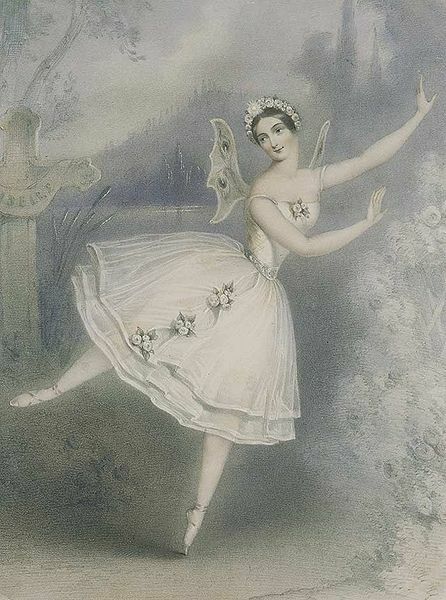 THE PODCAST is, surprisingly, about joy, which Emily Dickinson portrays by seeing herself as a ballerina. 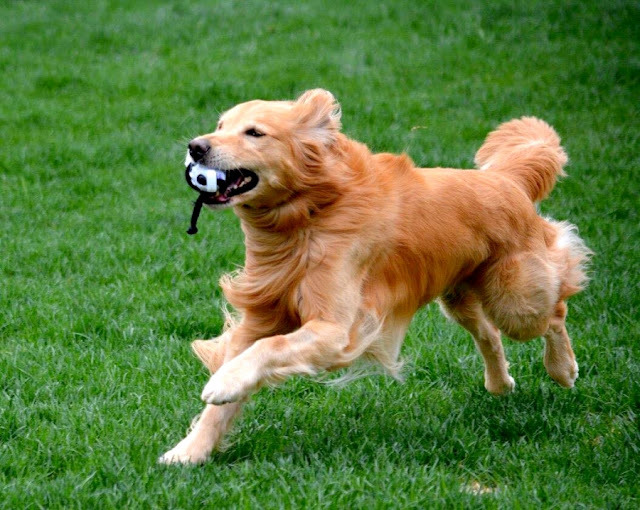 I've taught enough ballerinas (in my English class) to know how hard they work to look light and effortless, so if I was to imagine myself joyous, I'd probably be a golden retriever chasing a ball. 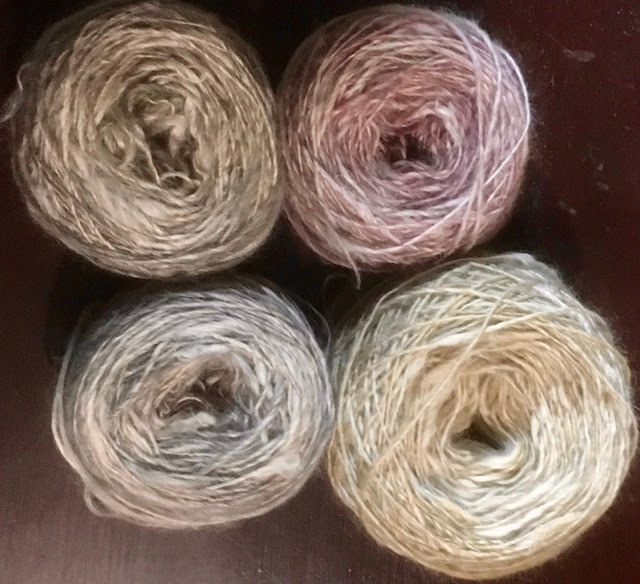 THE KNITTING consists mainly of secret presents, and my arms haven't allowed much progress otherwise, so I don't have much to show you, but I did finish spinning my goaty yarn, I should just have enough for a short sleeved sweater. It will be fuzzy and very warm. Dare I hope for winter this year?